Part 4 (pAsurams 82 to 108) https://1drv.ms/u/s!AiNzc-LF3uwyhhkxl4_E28xWMy9h https://1drv.ms/u/s!AiNzc-LF3uwyhiDZHpBDoQ9EevQ5 https://1drv.ms/u/s!AiNzc-LF3uwyhiNNLAq_qXNIGqOY . Full prabandham https://1drv.ms/u/s!AiNzc-LF3uwyhi8aSn_US_tiIRIn https://1drv.ms/u/s!AiNzc-LF3uwyhjRKsJ8RydWNr1MY https://1drv.ms/u/s!AiNzc-LF3uwyhjvSjTCuJMJejXq7 . Part 1 (thaniyans, 1.1, 1.2, 2.10) https://1drv.ms/u/s!AiNzc-LF3uwygzXpuPcAk22m_qX9 https://1drv.ms/u/s!AiNzc-LF3uwyg0i3iVBaAEbrUZ-P https://1drv.ms/u/s!AiNzc-LF3uwyg02ySnQg40scMhZT . additional pAsuram in praise of mAmunigaL) https://1drv.ms/u/s!AiNzc-LF3uwyhQQnCE9NQ4jv1IeQ https://1drv.ms/u/s!AiNzc-LF3uwyhQjH7NZ4poJOoSpU https://1drv.ms/u/s!AiNzc-LF3uwyhQ1RbsbQ99rti948 . 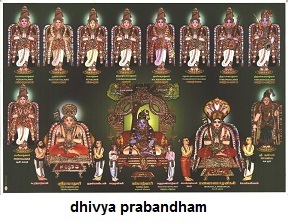 Translations of vyAkyAnams of many dhivya prabandhams in multiple languages are available in http://divyaprabandham.koyil.org . These lectures are not traditional kAlakshEpams or upanyAsams. These are simple/informal explanations of the pAsurams mostly done with kAnchI PB aNNangarAchArya swamy’s dhivyArtha dhIpikai or puththUr swamy’s works and whatever is heard from traditional kAlakshEpams or upanyAsams. ஆழ்வார்திருநகரி – நம்மாழ்வார் திருமேனி ப்ரதிஷ்டோத்ஸவம் – மாசி உத்ஸவம் – https://1drv.ms/u/s!AoGdjdhgJ8HehEbyD2Y2XQXE-law .